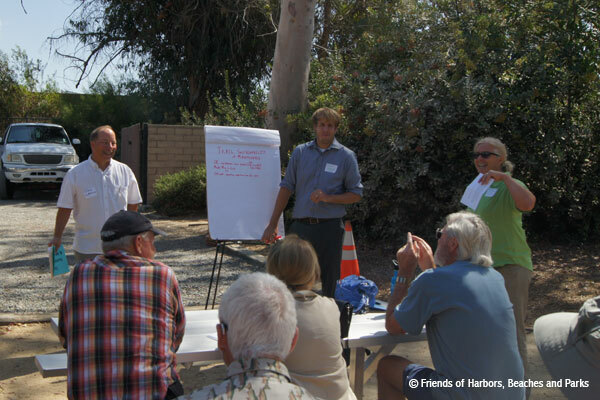 Friends of Harbors, Beaches and Parks is one of the founding members of the Safe Trails Coalition, along with other park advocates we support appropriate recreational trail use in Orange County’s parkland that provides safe, high quality experiences, and protects natural resources. The Safe Trails Coalition was formed by Audubon California, Friends of Harbors, Beaches and Parks, Laguna Canyon Foundation, Sea and Sage Audubon Society, and Sierra Club. Since the Coalition’s inception we have the support of more than 30 organizations. The Coalition seeks to complement the efforts of area land managers to address the far-reaching problems associated with trail misuse and abuse (such as, use of the parks at night, illegal trail cutting, creation of paint ball courses, etc.). We welcome individual enthusiasts, user groups, non-profit and civic organizations, governmental agencies, and land managers to assist our efforts. We ask you to become supporting members of the Coalition to work collectively to achieve our common goals. More information is available on the Safe Trails Coalition website.